In this article we will learn how to delete read messages and emails in gmail by using keyboard shortcut keys. As we know keyboard shortcut key will save lot of time and work accurate. By using this shortcut key you can delete all read emails and messages from your primary, social, and promotions.. The best things is, it will select only showing page email not previous pages so you can easily find out which emails you have to delete. So lets see how to do this. 2. 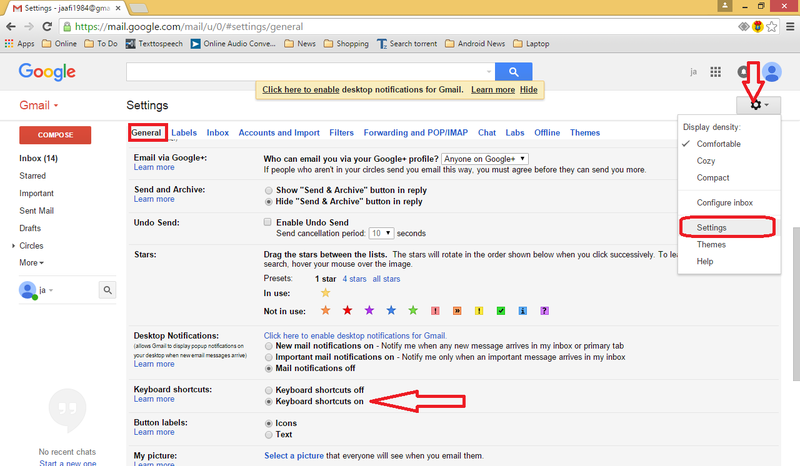 Now keyboard shortcut is ON for your gmail account, this is one time setting.